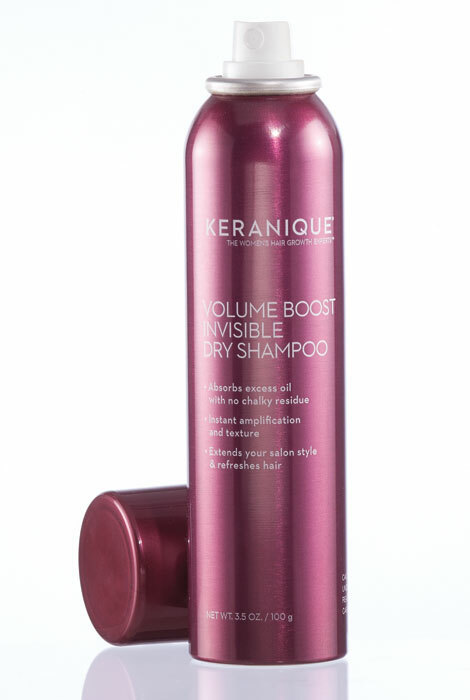 Build incredible volume and fight hair loss with Keranique® Volume Boost Invisible Dry Shampoo. This ultra-light, ultra-effective spray shampoo was scientifically formulated to absorb oil and sweat while addressing thinning, weak or breakage-prone hair. No residue or powdery build-up is left behind, just thick, beautiful hair. It should also be used as a preventative system to maintain healthy hair and scalp. Infused with Keratin Amino Complex™, it helps to strengthen, stabilize and normalize hair. The vitamin-enriched formula nourishes the scalp to promote hair follicles and improve the hair growth cycle. DHT inhibitors in the formula work to prevent hair loss. With regular use, hair will look visibly denser, fuller and thicker over time. Shake well, spray evenly five inches away from hair, focusing at the roots. Leave on for two minutes and then brush thoroughly. I only wash my hair twice a week since it's very dry & use thisbthe others days. Again this will be the first time I am using this product. Need it and trying for first time. 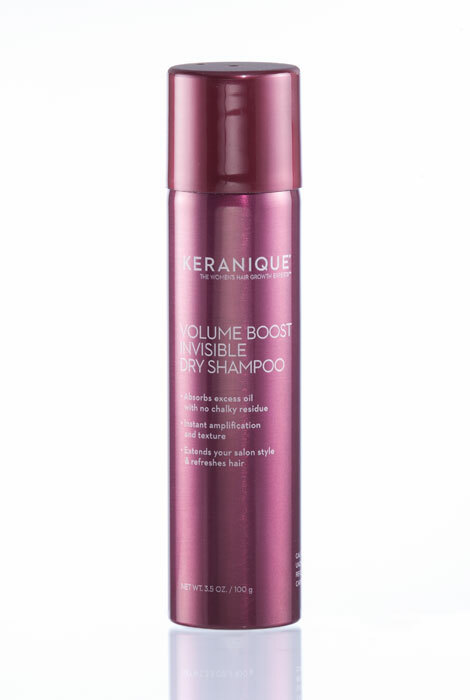 I have used Keranique in the past, its a great product for hair loss.